Assistant Professor of Design & Innovation, Michael Goldberg, received his third Fulbright fellowship to work with leaders in the entrepreneurial ecosystem in the Canary Islands to help support the growth of their startup companies. “Although it is impossible to replicate Silicon Valley’s exact model, the Canary Islands are striving to define their unique strategy for consolidating an entrepreneurial ecosystem,” said Michael Goldberg, Assistant Professor of Design and Innovation at the Weatherhead School of Management at Case Western Reserve University. With this grant, Goldberg hopes to connect the Canary Islands’ entrepreneurial ecosystem with global entrepreneurship networks, and to inspire collaboration between the islands. He was previously awarded Fulbright fellowships to teach entrepreneurship at the National Economics University in Hanoi, Vietnam (2012) and at the Polytechnic in Windhoek, Namibia (2015). Goldberg created a massive open online course (MOOC) for Case Western Reserve University on Coursera called Beyond Silicon Valley: Growing Entrepreneurship in Transitioning Economies, which has attracted over 135,000 students from 190 countries. 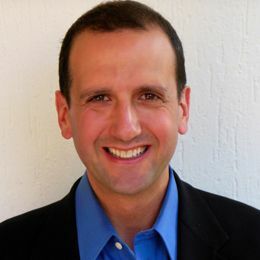 Moisés Darío Santana Quintana, who is the managing director of Asociación Canaria de Startups, Empresas de Base Tecnológica e Inversores Ángeles (Emerge), the startup organization that will host Goldberg in the Canary Islands, was a student in Beyond Silicon Valley several years ago. This organization also manages two co-working spaces for innovators in Las Palmas de Gran Canaria, Palet Express – Cajasiete and Marine Park, both supported by the Government of the Canary Islands, a regional financial institution (Cajasiete) and the city council of Las Palmas GC. Goldberg will also be collaborating with faculty and students at Universidad de Las Palmas de Gran Canaria and Universidad de La Laguna in Tenerife. Moisés Santana explains that the Canary Islands are a unique area to focus on for entrepreneurial growth, as their remoteness makes them especially dependent on the digital economy. “This is why I found Professor Michael Goldberg’s course so interesting,” says Santana. “It provided lessons and experiences that can be applied to our entrepreneurial ecosystem. We were so pleased that the Fulbright Commission awarded Professor Goldberg a fellowship. We are excited to engage with him and try and apply the lessons from Beyond Silicon Valley to the Canary Islands during his visit.” Santana added that Goldberg will present the main findings from his Fulbright to the President of the Government of the Canary Islands, Mr. Fernando Clavijo, and his cabinet at the conclusion of his fellowship.